High school senior Matthew Peters thinks he's just writing some online fiction about an alien superhero, Excelsior. But when a woman arrives at his school claiming to be from the distant planet he's writing about, he must think again. What's more, she says Excelsior's lifeforce lives within him. As an alien assassin tries to kill him, Matthew must decide what is more important: to save his own life or to retrieve an ancient artifact that could save two worlds. To stay the guy with growing online popularity, or lose himself to something he can't understand. Whatever his choice, he must face an enemy more powerful than him in almost every way. 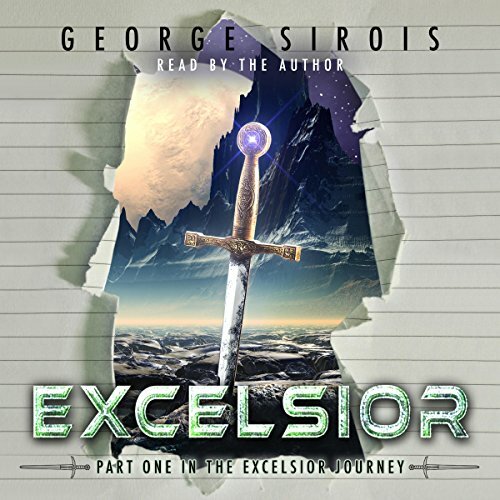 Hold on to your seat as you race through the first book in George Sirois' series, The Excelsior Journey, a story that will leave you gasping for breath and wanting more. Perfect book for young readers. Scifi super hero with a relatable teen boy protagonist. Lots of action and lots of lore. More to discover in future books but does not end in a cliffhanger.